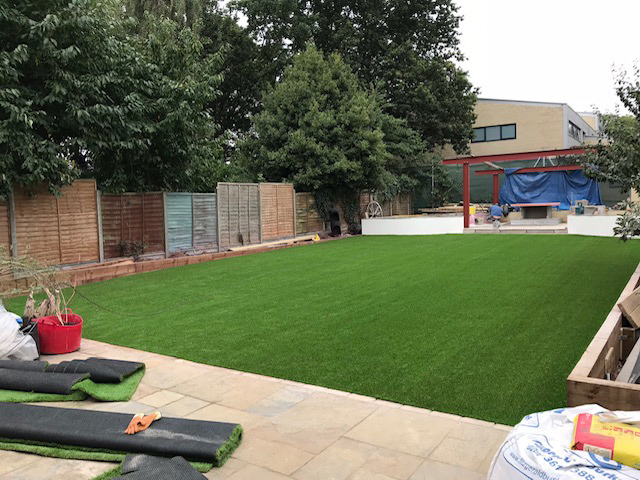 Our Reading branch recently installed 160m2 of artificial grass in North London. Our team also installed railway sleepers in down both sides of the garden, to create a modern contemporary look. They installed Superior artificial grass our most popular grass in London. 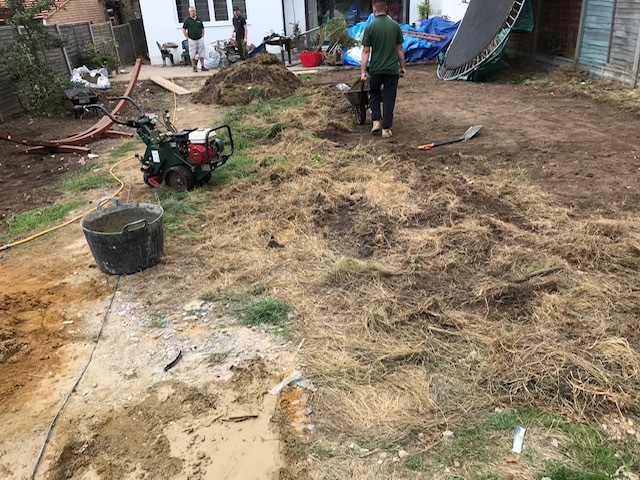 You can see the of the installation process below, or see our artificial grass installation process indepth here. To start the old tired lawn is removed. 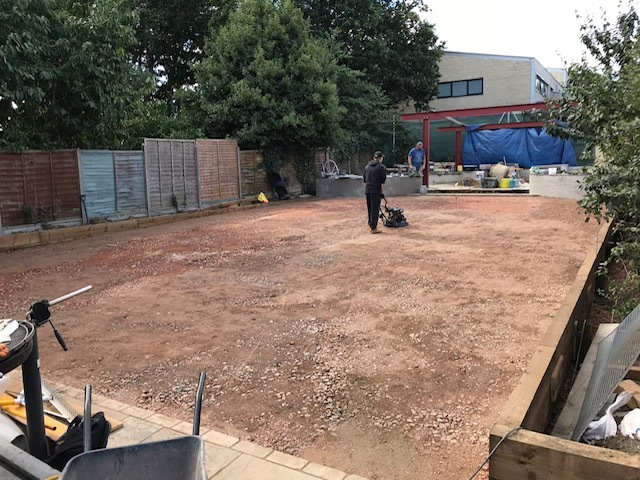 The site is filled and levelled with a sub base. 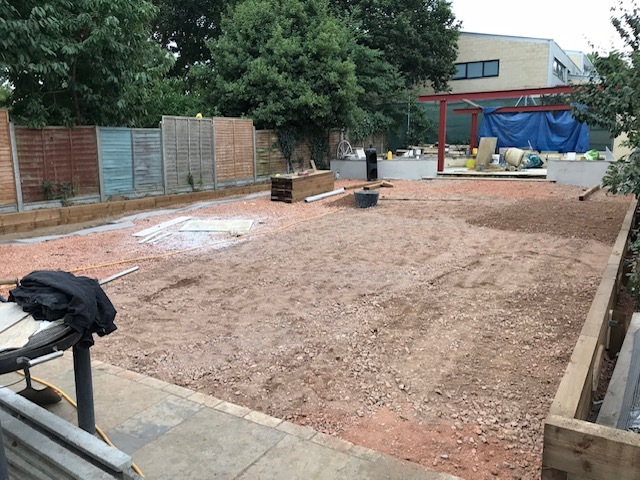 The stone sub base is levelled and compacted. The final product, looks great and is usually installed the same day.